Tau Kappa Epsilon has many awards that honor Fraters who have fulfilled specific needs of our great Fraternity. From Top Tekes to Fraternity for Life recipients, all are vital to the success of the organization. There is one award, however, that tops the list – the Order of the Golden Eagle (OGE). 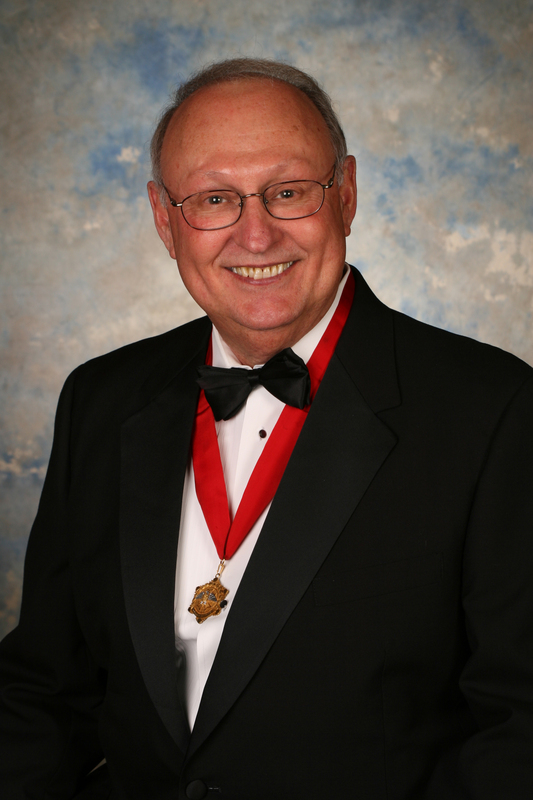 Only a handful of men have received the coveted recognition, but each should be seen as a model of what it means to be a Teke. "The award shall consist of a beautifully modeled spread eagle bearing on his breast the amorial bearings of Tau Kappa Epsilon. This Golden Eagle surmounts an estoile of five with arms pattee, braced all within a wreath of laurel, nimbused and rayed of six; debruising the lower section of the wreath a scroll lettered: The Order of the Golden Eagle." The eagle being spread is meant to show it during gliding flight and symbolizes the swift action, strength and distinct foresight of the fraternity's needs, and the mobile courage and power to contribute to it significantly. The estoile (also known as a star) of five with flared arms stands for the five founders of TKE and symbolizes how their great contributions should inspire all Fraters to emulate their achievements. The ancient Greeks crowned the victors with the laurel wreath and is why this symbol is used to show recognition of the contributions of the alumnus as an accomplished action. Nimbused means glorified as by rays of a radiant light of glory which further emphasizes the significance of the award. Be sure to follow the latest TKE News with the RSS Feed, on Twitter or the official TKE Facebook Fan Page (Tau Kappa Epsilon Fraternity). Submit your news today.